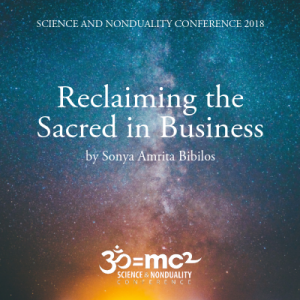 Years ago I was sitting in a hotel lobby, on a break during a business conference, and I was inquiring very intensely “What is the real truth about money?” I felt like I’d been in a haze of story and illusion about money and I wanted to see the truth. Suddenly I saw it – a blank screen. At first I didn’t get it, and then I realized, oh… money is a blank screen. It is just paper. Actually, it is even less than paper, it’s numbers on a screen – and it becomes what we make it. As I sat with the empty screen, I saw the millions of stories about money that we project onto that screen; most of them aren’t even real or true. It blew me away. Since that time I’ve been on a journey to try to understand the fundamental truths of abundance of all kinds, including money. My inquiry has taken me deeper and deeper, right into the essence of Divine Abundance itself. Along this journey, I have learned some pillars of truths that I was called to share with you in this article. I hope they will help you dispel some myths and illusions you may have ingested from life, culture, and family! I also hope it awakens your True Heart knowing of Abundance too. 1. 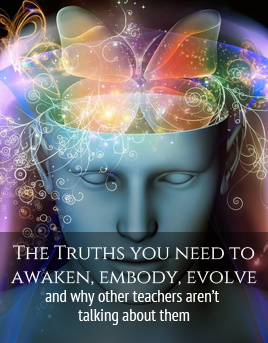 Listen to your Inner Wisdom and teacher and inquire – what is true for you? 2. When a truth resonates for you, take it in fully. The key to change is to not just “know” something is true but to also “feel” it’s true in mind, heart, and body. 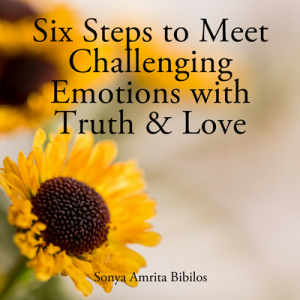 So when it resonates, I invite you to take these truths in, say yes, take a deep breath and let every cell of your body receive the truth. You have Inner Awakened Wisdom within you, and this Wisdom remembers the Divine Truth that your mind may have forgotten. Wisdom is like a homing beacon for all Divine Truth. When you hear Divine Truth that you are ready to embrace, it will resonate in your being like a vibrating tuning fork. I invite you to listen, trust and follow what your Wisdom knows about Divine Abundance. 2. Divine Abundance is ever present, waiting for you to know it. Divine Abundance is an essence and presence in the universe. It doesn’t stop being present. You choose to be aware of it or not. When you are aware of it, you can receive it, be grateful for it, and ultimately be in its flow. 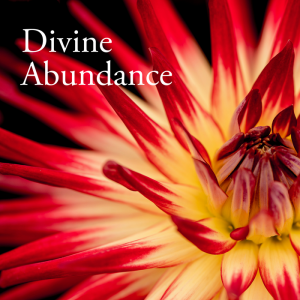 Abundance is a facet of Divine Love. 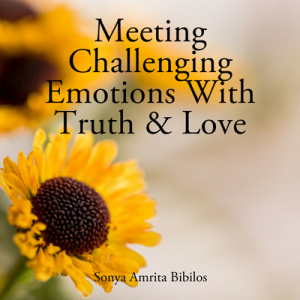 It was humbling for me to realize that when I dismissed the possibilities of the flow abundance in my life, I was also blocking the flow of love. It is a natural part of life to be open to the flow of Divine Love in the form of Abundance. You are one with the Universe, so Divine Abundance and Love are just a part of you, part of your birthright and your life. No one is more or less worthy of abundance or love. You don’t have to prove you are worthy. You just get to humbly accept the love and abundance that is already here. I’ve often said that gratitude is a portal to Divine Love, and this may be especially true when it comes to Divine Abundance. When you are grateful, it opens up your mind, heart and senses to the possibilities of love and abundance. Awareness + gratitude + receiving = experiencing more abundance. Divine Abundance flows from essence to form. When it flows into form it likes to be creative and take different expressions and move through all kinds of different channels! The ego mind is not creative, especially when it’s afraid or in scarcity mode. It demands that Abundance flow through the limited channels it expects and wants, and in the quantities that it expects and wants. And then it completely misses both the abundance that’s already here and the possibilities that the Divine might want to creatively create in your life. Sometimes we get so small in our thinking. We forget not only the creativity of God but also the infinite possibility and potential of the universe. Sitting in awareness of the raw infinite possibilities and potential of Life opens your mind and heart to opportunities for love and abundance. It affirms that you are not stuck or trapped in the limited options you habitually see. It allows you to approach life creatively, resourcefully and find the path that is truly aligned for you. I’ve met quite a few unhappy millionaires. Having a lot of money but being a slave to it in some way is not living in true abundance. When someone is living in true abundance, they have a spirit of openness, freedom and possibility. They have or can create what is in truth and alignment for them; they are at peace with what they have; and they are open to the possibilities of new flows of abundance. The year my husband and I made the least amount of money (just barely above poverty level), we received gifts of computers, vacations, and more and did not feel “poor.” We received what we were called to have. Though we didn’t have a lot of money, we experienced the flow of abundance anyway. 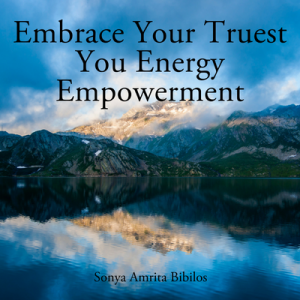 Aligned, empowered action means that you are listening to your Inner Wisdom and stepping up and taking action that feels aligned and in integrity. Even if that set of actions doesn’t work out in some way, it was meant to teach you something so that you could take the next level of aligned, empowered action. Awakening to Divine Abundance doesn’t just happen once. It is a daily practice of awareness, gratitude, expanding to possibilities, and taking aligned action. It is a path of discovery and spontaneous revelation. I experience it as a way of being in joyous play with Life and the Universe. Would you join me in this sacred play with Life? 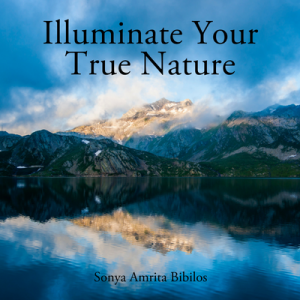 What does your Inner Wisdom know is true about Divine Abundance? I’d love to hear, please share!